Hot Toys has released some updated photos of their upcoming Spider-Man – Spider-Punk Costume 1/6 Scale Figure. They are changing out the guitar for an all-new design. They are changing out the Dean ML Style Guitar for a new original spider inspired design. Unfortunately, the new design is no longer accurate to the one used in the game. One has to wonder if there were some type of licensing issue with using that body style. You can see details below, and the new photos after the jump. Besides showing fantastic swinging mechanics and beautiful recreation of New York » Continue Reading. 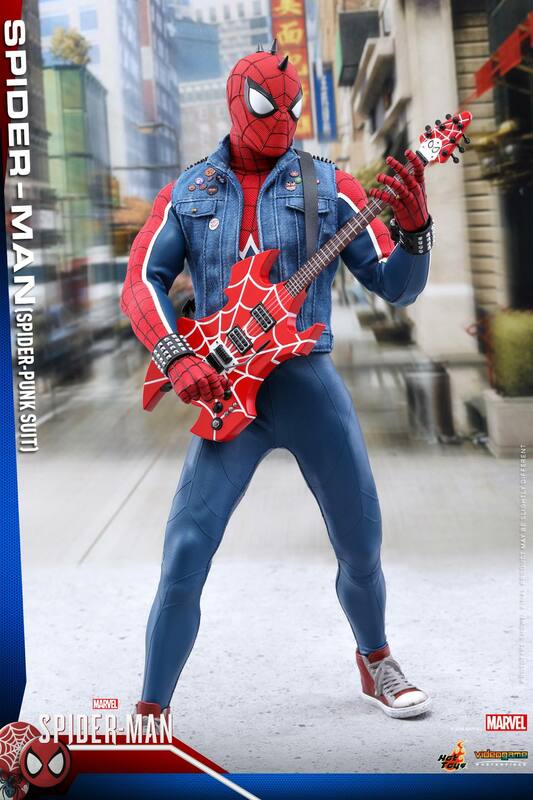 The post New Guitar for the PS4 Spider-Man – Spider-Punk Costume Figure by Hot Toys appeared first on The Toyark – News.